Who knew being a dating advice columnist would involve getting to eat amazing food? Not me … but it’s definitely turned into a perk of my job. eHarmony are currently putting together a ‘great date guide‘ and they’ve sent me out onto the streets of Brisbane to find some great venues for those who usually spend days deliberating over a date venue, wondering if it’s got the right vibe, friendly staff and great food and/or drinks? So I now get to play gastronomical tour guide; taking readers through the delicious, fun, entertaining and sometimes heart-warming world of date venues! You can’t deny the warm fuzzy feeling that comes with reaching a point in your relationship when you suddenly start going to breakfast/brunch together; laughing over bacon and eggs and waxing lyrical about how lucky you are to have found somewhere that serves great coffee and delicious food, so one of my first tasks was to find a great breakfast/brunch venue. 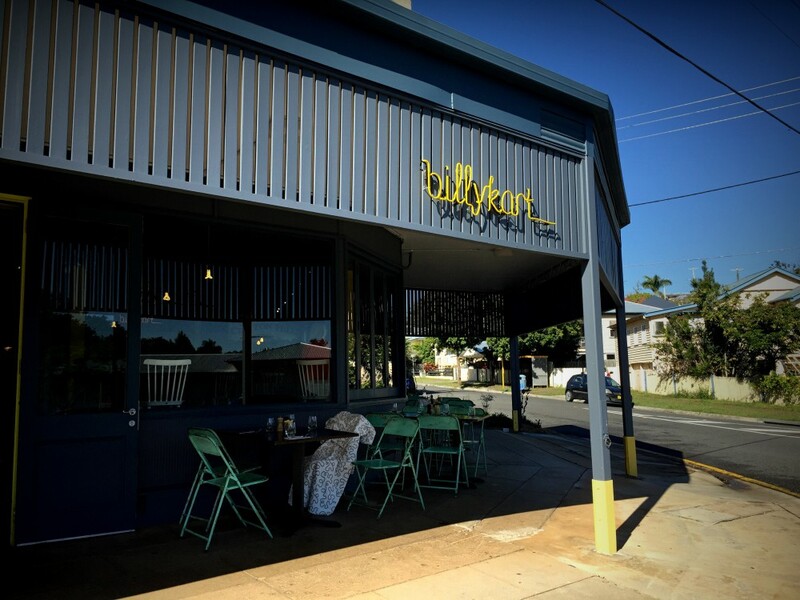 The Urban List have plenty of lists relating to breaky in Brissy, including 50 cafes you should have eaten breakfast at if you live here, but I thought I’d start at Annerley’s Billykart Kitchen. 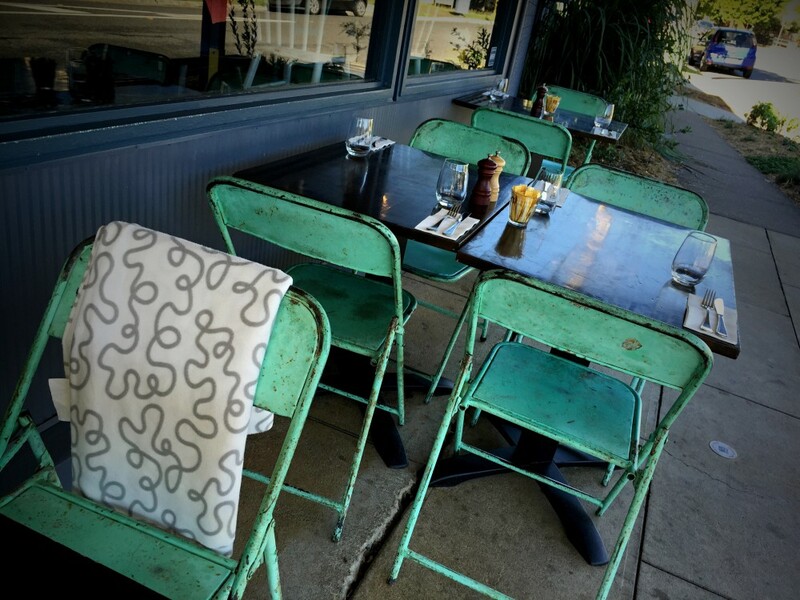 Located in a revamped old corner shop, Billykart has seating for 80 but still manages to have an intimate, homely feel with a touch of the eclectic. It’s like sitting at your favourite kitchen table but knowing you don’t have to clean up afterwards. I love that it was named because back in the 50s, kids used to race their homemade billy carts down the surrounding streets. The staff are friendly and knowledgeable about the day’s specials and what options are available for the freshly squeezed juices (think watermelon, carrot, mint, ginger and orange to name a few) so you can create your preferred blend. Owned and operated by Chef Ben O’Donoghue (you might know him from TV appearances including Surfing the Menu, which he co-hosted with fellow chef, Curtis Stone and from his cookbooks) serves up a casual yet sophisticated menu with seasonal, local produce. Their breakfast menu is available daily until 11.30am and includes Date, Apple and Quinoa Bircher Muesli with Roasted Coconut, Hazelnut & Pecans; Ricotta Buttermilk Pancakes with coconut caramel bananas; and Poached or Scrambled Eggs on sourdough. Keen to step out of my comfort zone and give my body something semi-healthy given I had just returned from my second stay at Gwinganna Lifestyle Retreat, I settled on the Crispy Corn Fritters with avocado and heirloom tomatoes ($18) while my date had the Scrambled Eggs with sourdough ($12). Although I’ve since returned to test out the Ricotta pancakes ($16) and they were phenomenal! Despite being satisfied with my breakfast and freshly squeezed orange juice ($7.50), I couldn’t help but eye off the assortment of baked goods on offer at the counter before settling on some fresh flowers and stretching my legs in the nearby park. 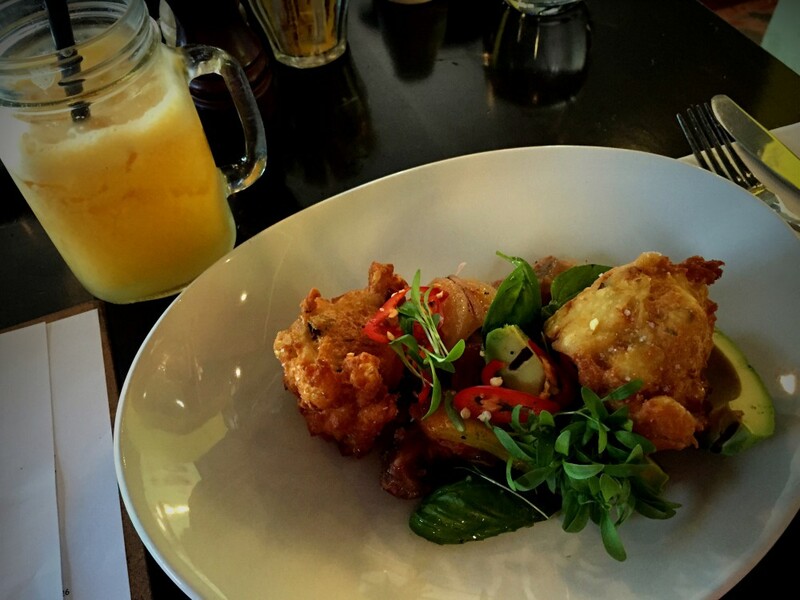 Billykart Kitchen is a fully licensed venue with great daily specials and all day dining on weekends. I have been keen to go for breakfast. I went for dinner when the G20 menu was being served. Delicious!